Designed to achieve the illustrious 5Star Green Star SA rating for its sustainability, the Government's newest office building in Bellville, has been constructed using many effective design techniques. The natural clay face brick walling has a number of ecologically sound properties that make it an excellent choice for environ mentally sustainable projects. 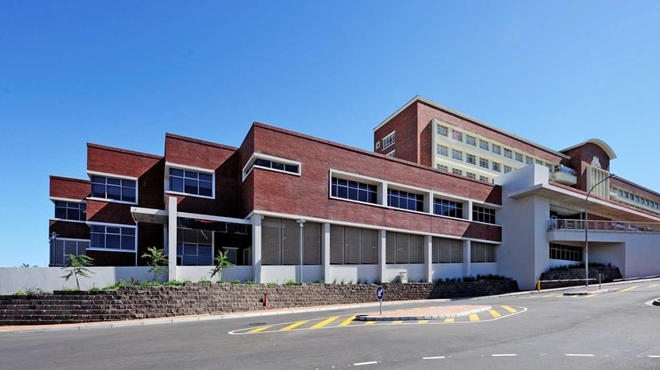 "The brick offers superior thermal efficiency which requires less artificial temperature regulation and the inert qualities assure low environmental impacts," said Christie van Niekerk, Manager of Corobrik Western Cape. "Added to this is the brick's incredible durability meaning it requires no future maintenance, making it the perfect solution for a project such as this." 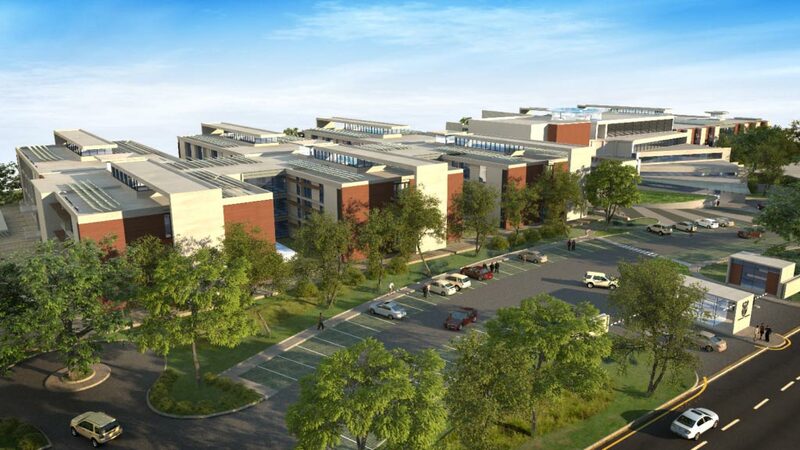 Commissioned by the Western Cape Government, Department of Transport and Public Works, the 6 615 na2 office building will be occupied by administrative components of the Department of Health. Aveng Grinaker LTA were the main contractors on this project with AGAMA Energy on site as the sustainability consultants. "The building is designed to achieve a 5-Star Green Star rating, making it among the first government-owned buildings to achieve this status," explained Faizel Jacobs, one of two directors of Jacobs Parker Architects, along with Waheed Parker. "This was achieved through a number of passive design principles such as optimised orientation, appropriately proportioned glazing, filtering of natural daylight, and well considered acoustic design. The building also recycles all storm and waste water in a fully organic recycling plant, and uses this recycled water at least twice." "The Karl Bremer Hospital site comprises several buildings, all of which are built using red face brick. The decision was taken to continue with this aesthetic, as the Green Building was meant to tie in to the existing context," continued Jacobs. All materials were sourced from local suppliers which reduced the 'embodied energy' of the project, and provided support for the local economy. With face brick being a labour-intensive construction method, the brick allowed for increased employment and skills' training opportunities, facilitated through a mentorship programme. This holistic construction strategy led to this being the first building in Africa to achieve a socioeconomic impact certification as part of its overall 5-Star Green Star SA Office vi rating.